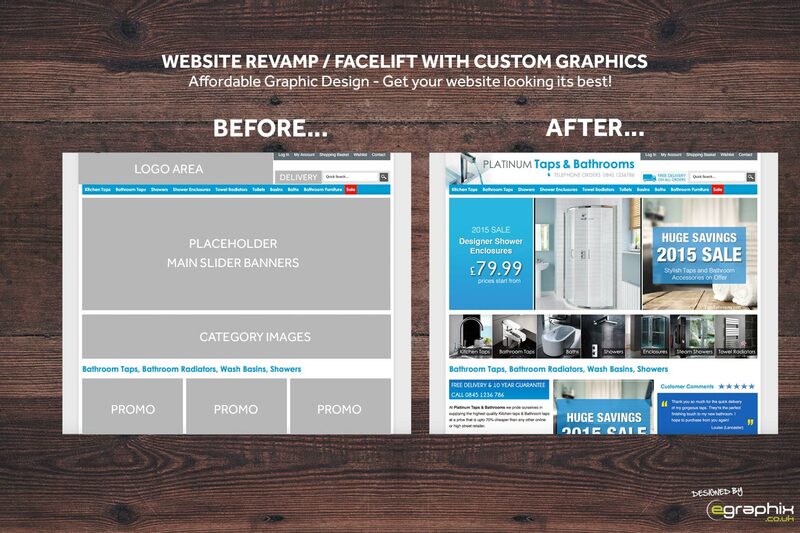 A Website Revamp starts and ends with Website Banners...they make a huge impact! Give your Website a Facelift! Is your website needing a Facelift? Is it looking a bit out of date, un-inviting or is it just not reflecting your companies branding and what your about? The answer is simple…Banner Graphics make the difference. Its suprising how much our websites make an impression on someone in the first few seconds. Our eyes (and brain when it kicks in!!) make the decision of whether they like what they are looking at or not. Having great website graphics such as banners, banner ads, icons make that difference. 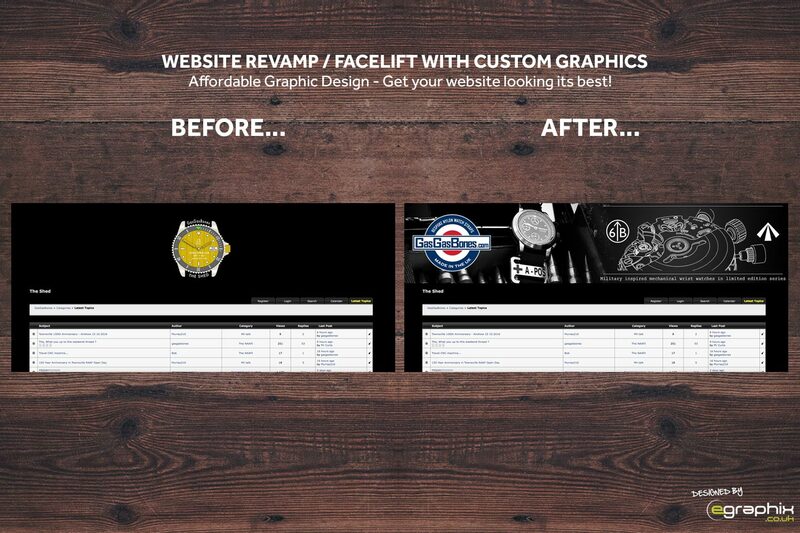 We can transform your site with a website revamp using new and exciting graphics at an affordable cost. 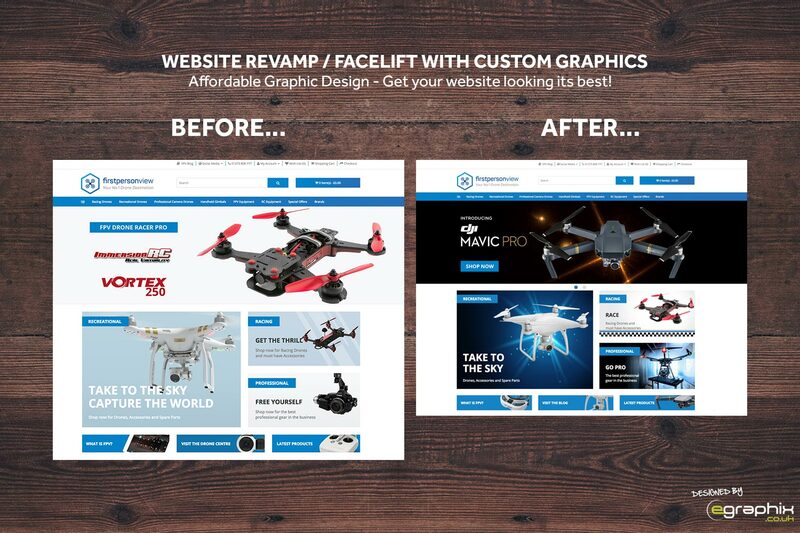 For more information on how to transform your website click the button below. 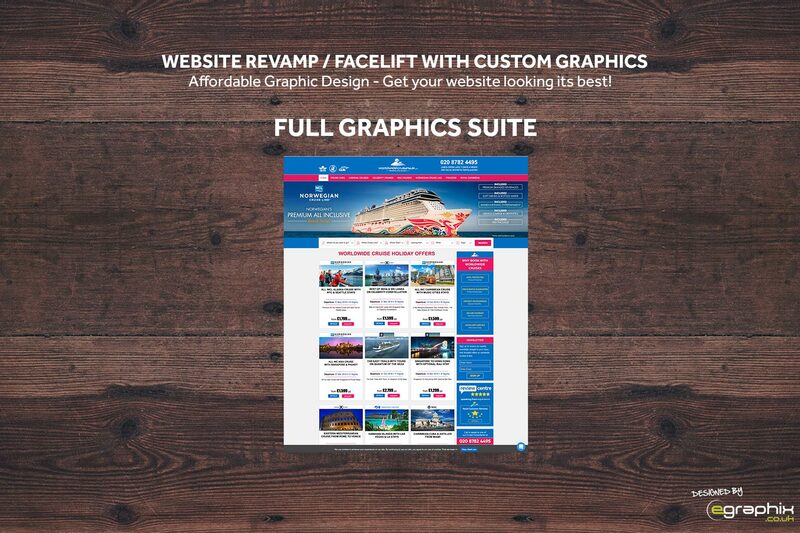 Above is an example of a clients website that was needing some new graphics to emphasise their products and bring it more in line with their branding. 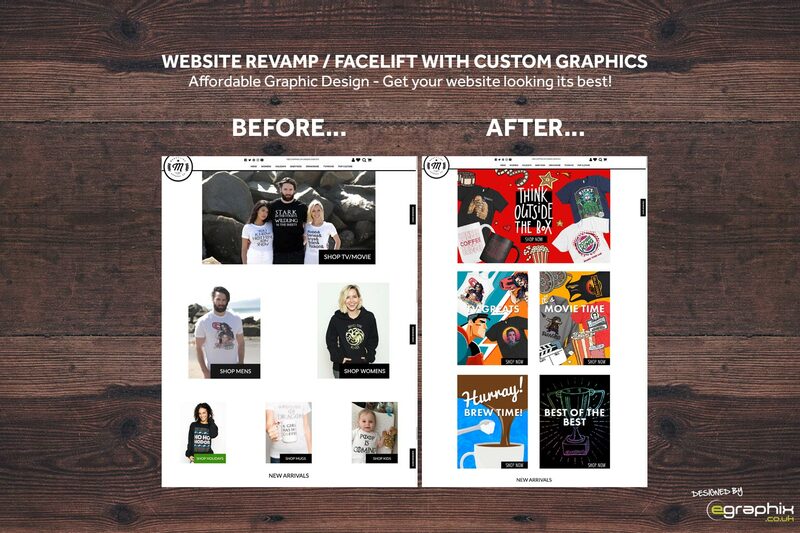 They wanted to give their website a complete revamp with a package tailored to them of website banners in various sizes to give that wow factor to their site. 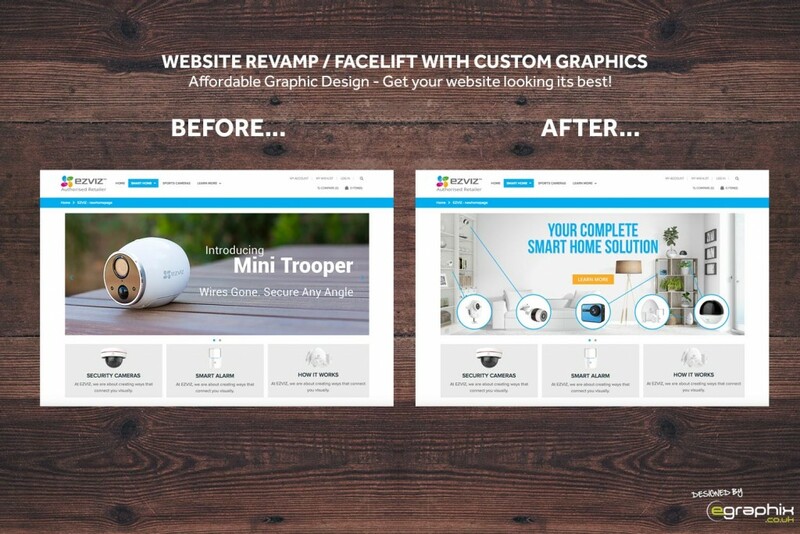 Looking to give your website a revamp? 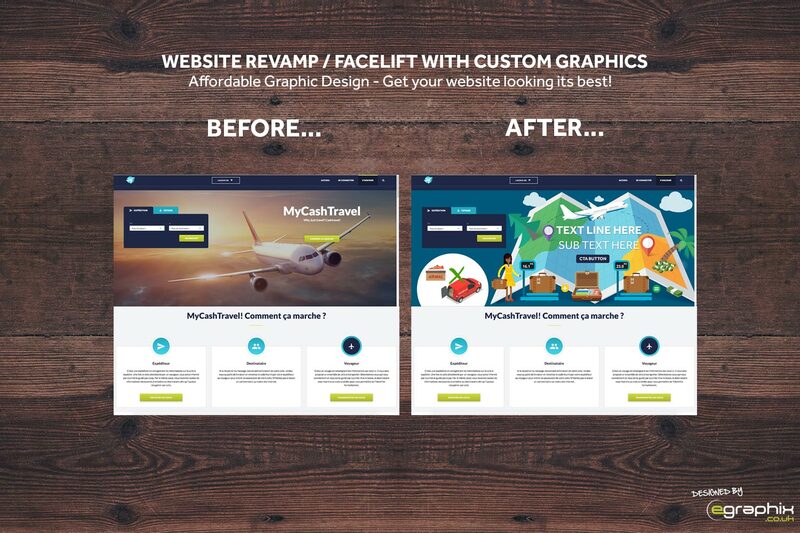 Get in touch with us and we will transform the look of your website and get your site looking professional and branded to your company/organisation. We design slider banners of any size and produce eye catching, quality banners to capture your audiences attention. This website revamp graphics project for Pigs in Pastry they had established branding but wanted some banners to be designed that reflected their brand but showed their product range and options in a clear way. First Person View wanted me to give their website banners a facelift. They wanted banners which showed off their droids in a different way to what they had before. Droids…fun 😀 a great project to design for. Ezviz asked for banners that would help launch their website. They wanted to convey what they were about, what they offer and what their products can do. They took a banner package for multiple banners ready for their website launch. GasGasBones.com wanted a new website header for their online forum. They had no brand guidelines to design to so a blank canvas to play with. 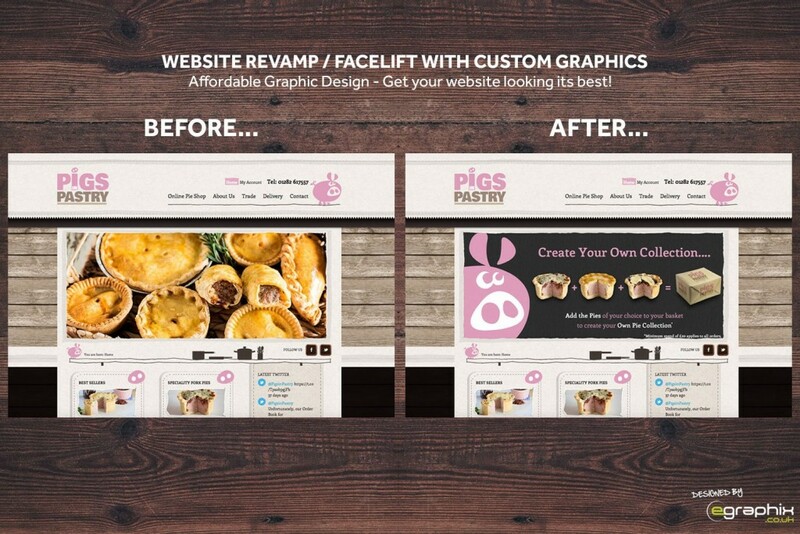 Banner graphics transform a website and make a site stand out from the crowd. 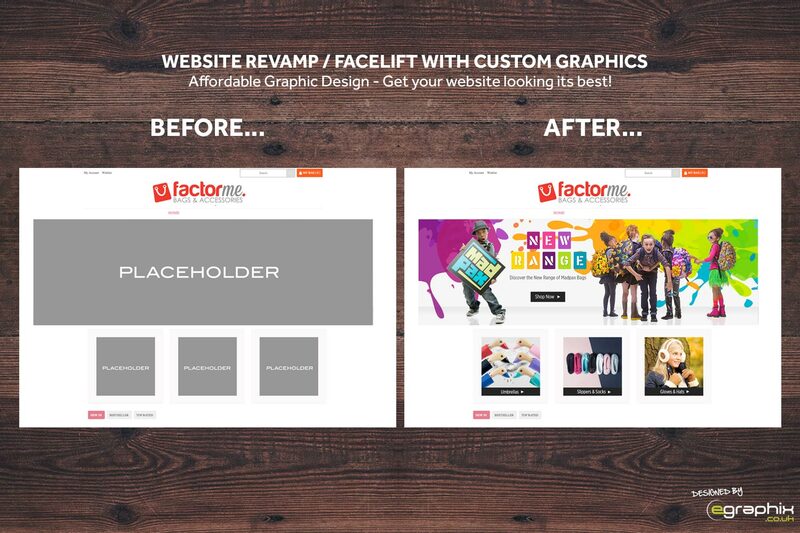 FactorMe was a new website build and so no banners just placeholders. A complete transform of the website ready for launch date. A suite of banners were designed for the site, homepage, category & product description pages. 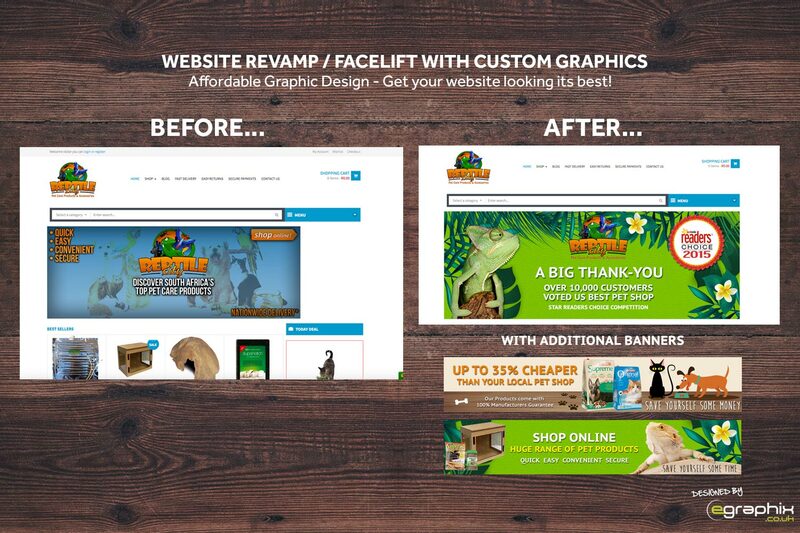 Reptile City was a fun website to design for 😀 their banners were fun, bright and product focused. They wanted affordable graphic design of their banners as launching their site this would kickstart their branding from the offset. Platinum Taps and Bathrooms wanted me to do a complete overhaul of the site as it was just placeholders that were in place. The site had various slider options – where they could promote products through their banners. Then following on from this graphics which were informative to balance out the site. WorldWideCruises already had their site up and running. They wanted to go in a new direction in terms of style and imagery on their banners, so thats exactly what I did for them A nice sized area to promote offers on cruise deals and bring the site to life! Everyone loves a bright coloured graphic on a holiday website.